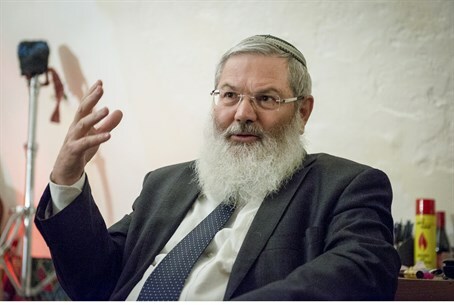 Deputy Defense Minister Rabbi Eli Ben-Dahan (Jewish Home) was not sure, himself, whether the IDF was going to destroy contested homes in Beit El overnight on Monday. "It seemed like they would destroy the homes right away," Ben-Dahan said Tuesday, "and we all mobilized immediately to prevent it." "Only later did [Prime Minister Binyamin] Netanyahu and [Defense Minister Moshe] Ya'alon clarify their intentions," he said, referring to both politicians' statements earlier Tuesday that they were against the demolition but would do as the High Court prescribed. The buildings are in the process of being certified as legal by the state, Ben-Dahan argued, and there is no reason to suspect the High Court for Justice's previous rulings will remain in place. "The bureaucracy in recent months - and actually over the last year or two - has been too slow ,and the legal process too fast," he lamented, noting it has led to contradicting orders. "The petition said that the houses were built without a permit and that the state should destroy them, and now there will be permission to build the homes, and therefore there is no reason to destroy them," stated Ben-Dahan. "Better late than never. Luckily, planning approval was granted in the end, and therefore there is no reason to destroy the houses." Overnight IDF and Border Police stormed Beit El for a surprise takeover of the homes, which are undergoing a legalization process in the High Court for Justice. At least 50 people have been arrested in the ensuing clashes. It remains unclear who, exactly, gave the order for security forces to arrive in Beit El, as Ya'alon denied ever having ordered the raid Tuesday morning.